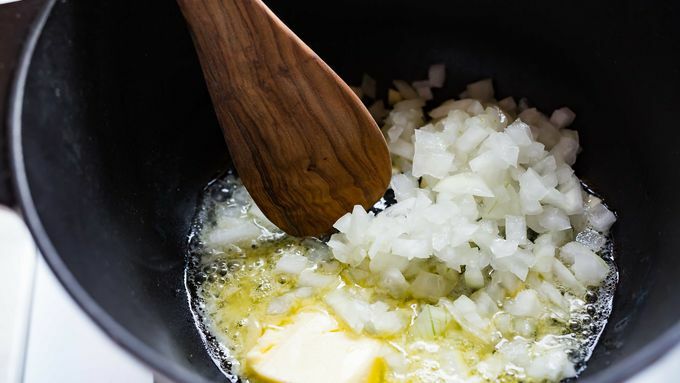 Melt butter in a large pot over medium-high heat. Add garlic and onion and sauté until fragrant, about 1 minute. Add gnocchi, broth and chicken to pot. 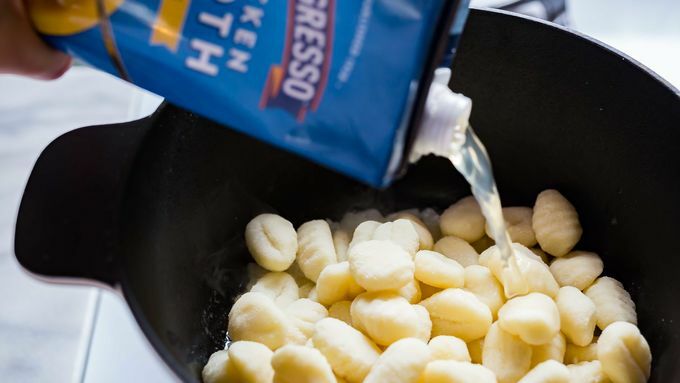 Bring to a boil and cook until gnocchi are tender, about 3 minutes. Whisk flour into half and half. Add to pot, stirring just until pot comes to a boil again. Turn off heat. 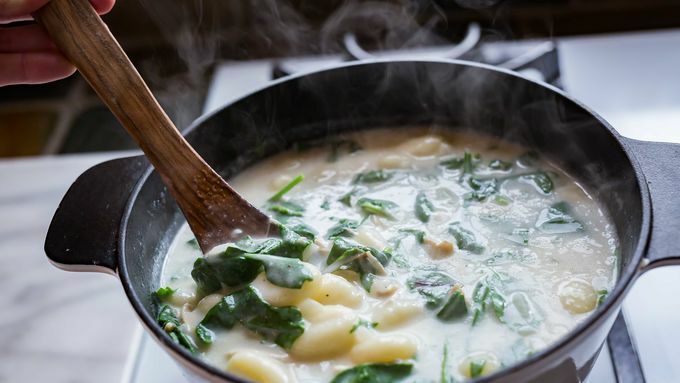 Stir in raw spinach leaves (the heat from the soup will wilt them slightly). Salt and pepper to taste, and serve. 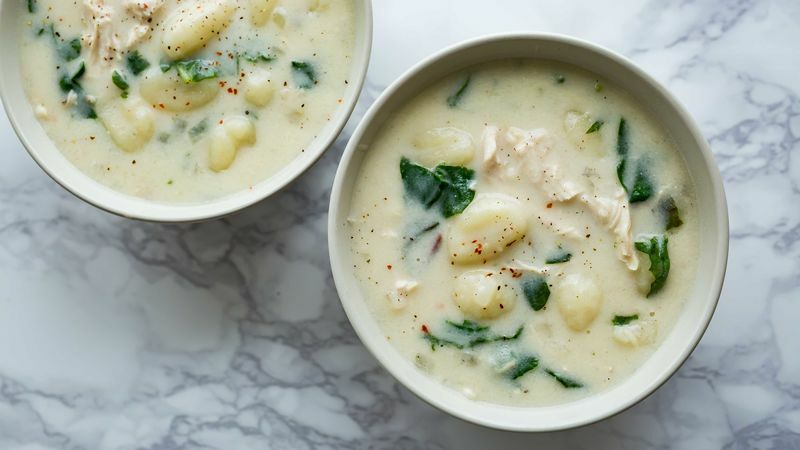 To make this soup with uncooked chicken breasts instead of cooked chicken, dice 2 boneless, skinless breasts and add to the pot with the garlic and onion. Sauté just until meat is cooked through. Add gnocchi, broth, etc. and cook remaining soup according to recipe instructions. Wintertime, springtime, fall. Three seasons of the year during which we crave soup. And while there are a lot of soups we love to make, this is perhaps the favorite-est. Which isn’t even a word. But when you taste this soup, you’ll agree: it should be. 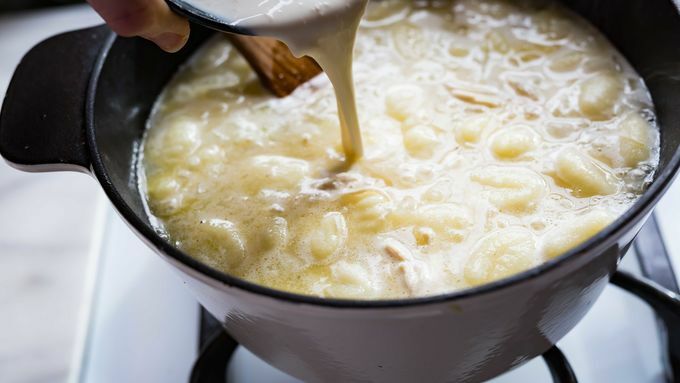 Creamy butter-kissed broth, chicken (we use rotisserie chicken, just to shortcut the cooking time of this simple soup even more) and gnocchi pasta. It’s comfort food in a bowl, perfect for every soup season of the year.